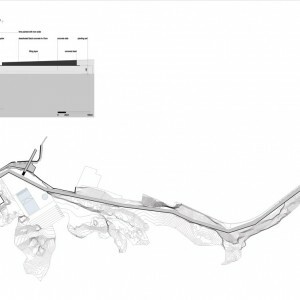 GLOBAL: Facing a place menaced by a natural and social process of erosion, the project proposes the transformation of the existing site. 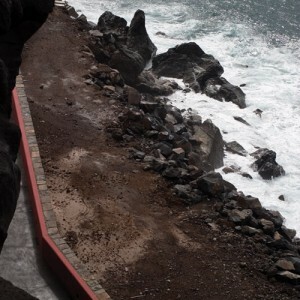 The sea and wind storms that regularly affect the south coast creates a situation of natural instability on the volcanic cliffs and therefore on the urban structures in place. Moreover, an entangled social situation of a prior isolated fishermen community was stressed by a segregated housing policy that created an unstructured sub-urban conditions, and, of course, a stormed public space. 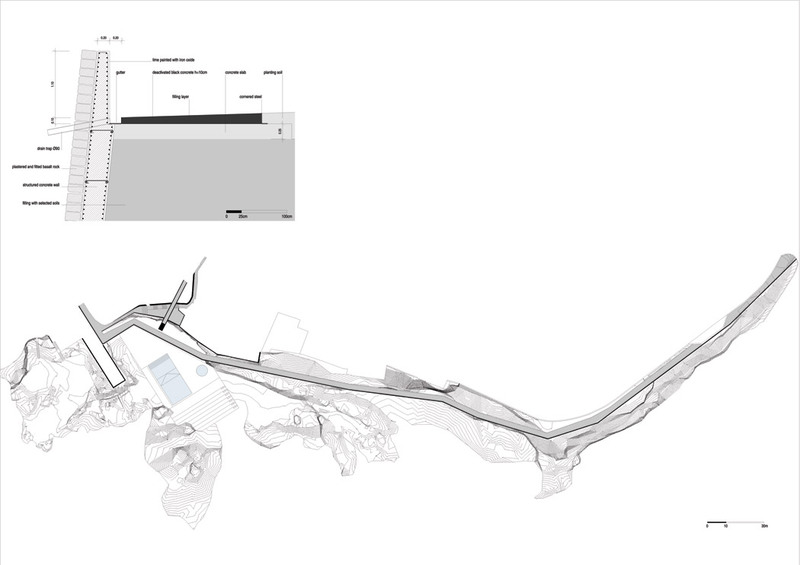 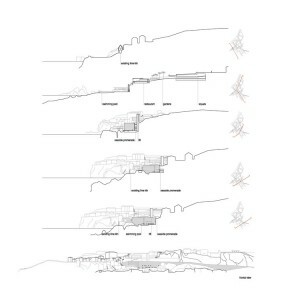 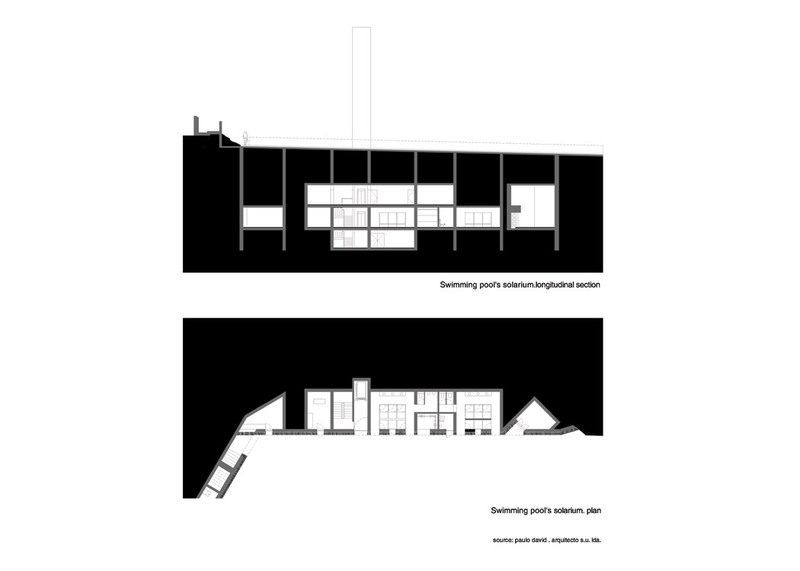 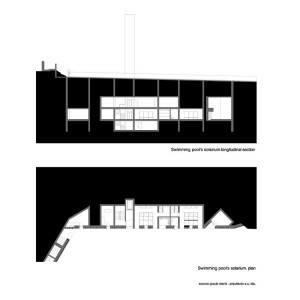 Approaching these natural and social conditions which occupied a former beautiful and rich cultural landscape, the project for Salinas proposes the reorganization of space in urban, landscape and architectonic terms. 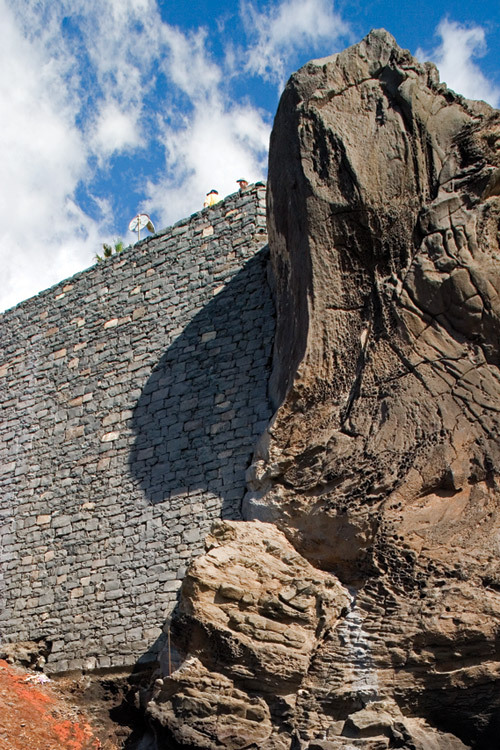 The place can be described as an astonishing and complex geological structure. 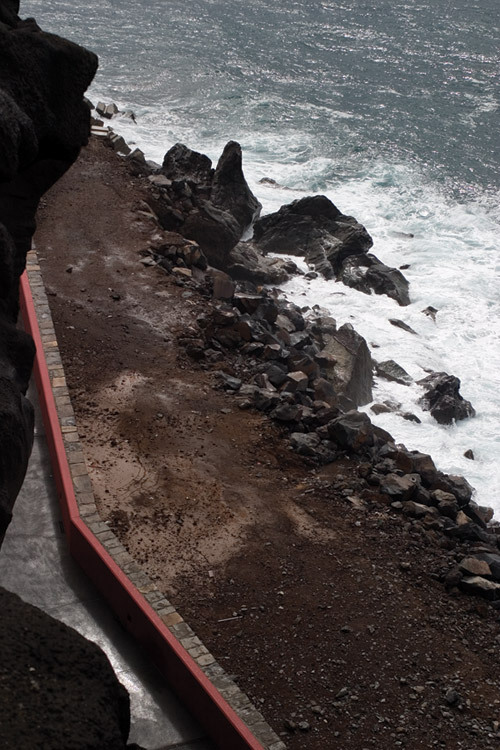 The tectonic gesture of the place is made visible by the sea eroded cliffs and its several lava and ashes layers of orange, black, brown and grey. 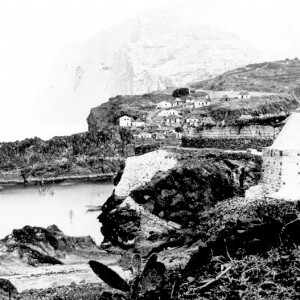 An old conical lime kiln characterizes the image of the place. 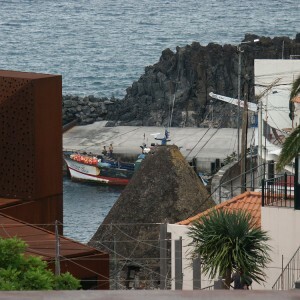 An artisanal industry of drying fish and salt extraction completed the principal local economic activity of fishing, more recently developed on touristic service. 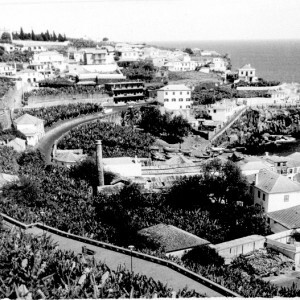 This social condition of very humble and poor economic situation was accentuated by a strong feeling of isolation and segregation shared by this community. 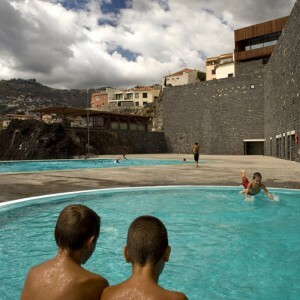 The recent regional connection and several investments on public services, inverted a process of social erosion and conflict, stressed by a previous wrong policy on social housing. 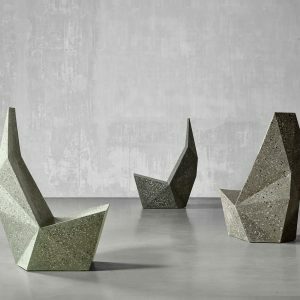 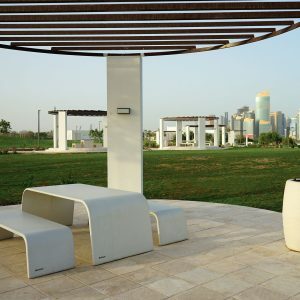 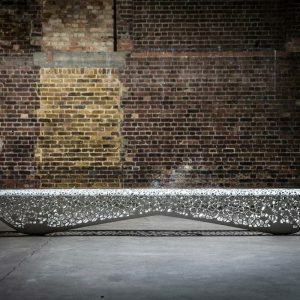 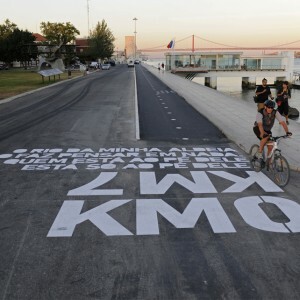 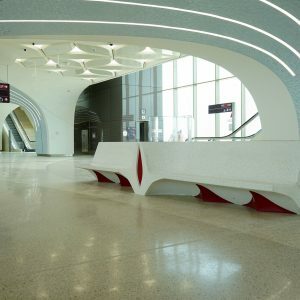 By adding the new and complex program of public space and connections, an extraordinary change took place on social and collective representation and valuation of space. 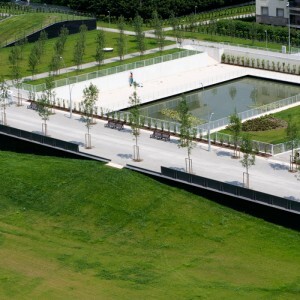 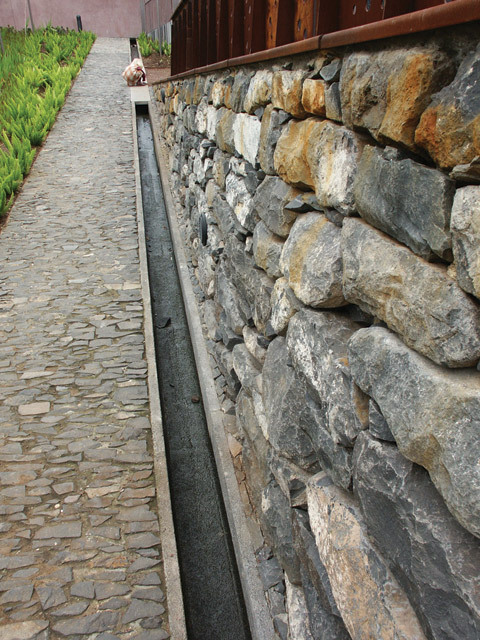 The designed landscape resulted from the understanding of landscape as a cultural process rather than a mere physical occurrence. 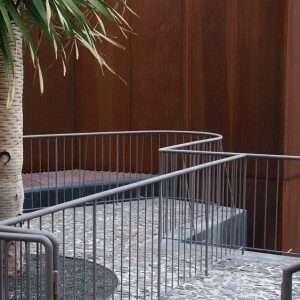 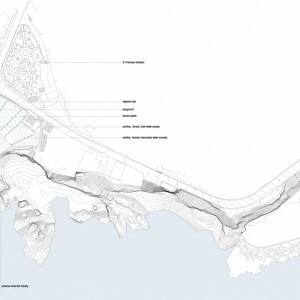 Therefore specific landscape construction strategies as well as constructive processes that were inscribed onto the existing situation were critically reused to inform the change of use. 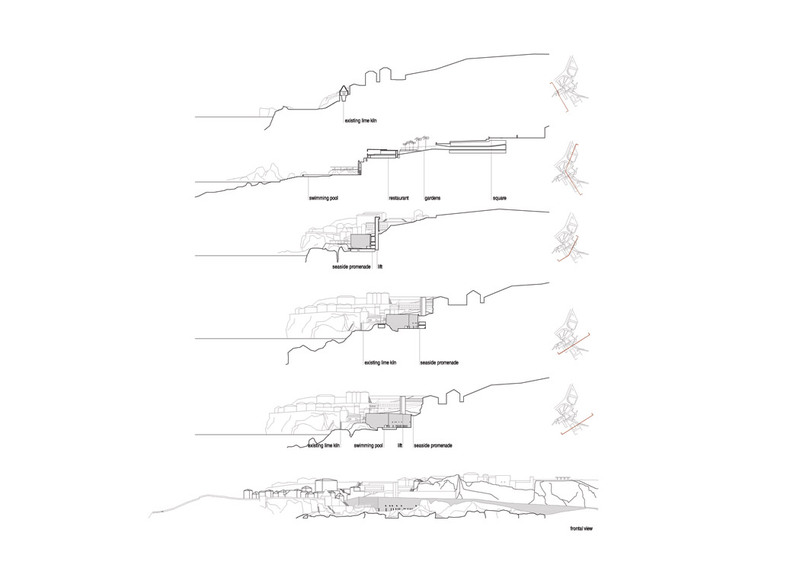 The drawing process did not search for mimesis but it aimed for coherence in the way of constructing and dwelling the landscape. 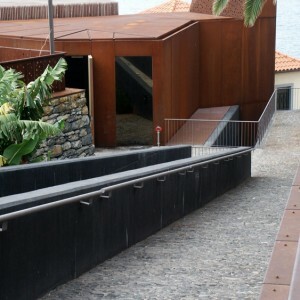 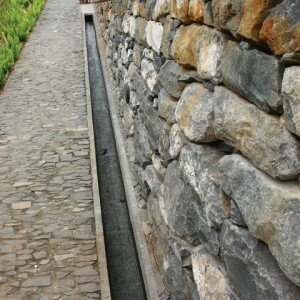 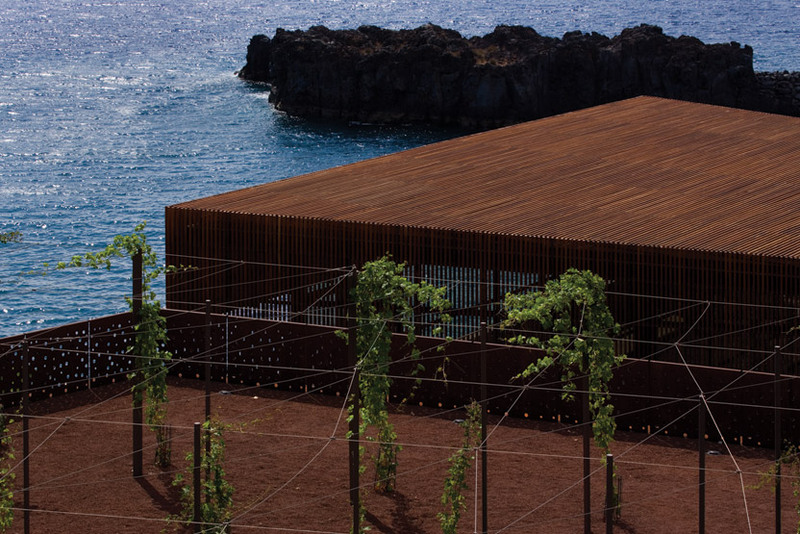 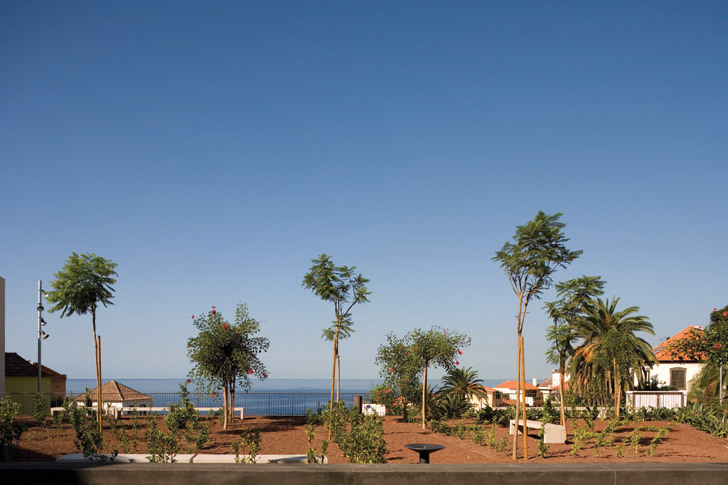 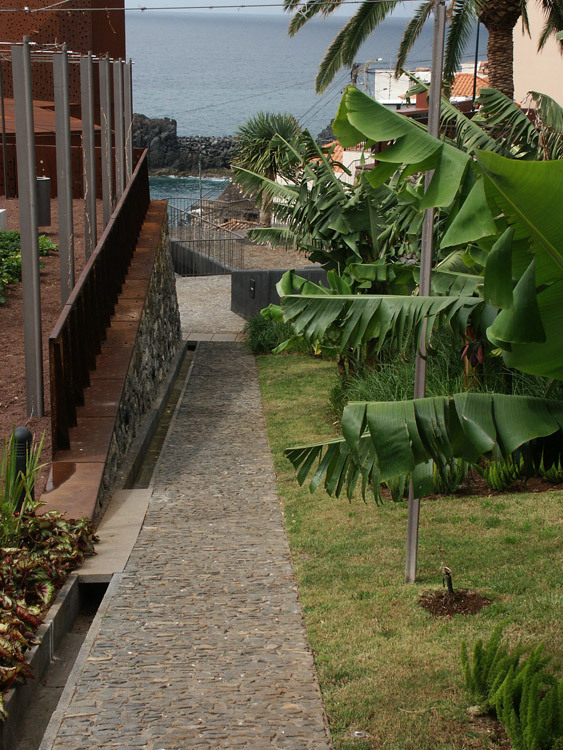 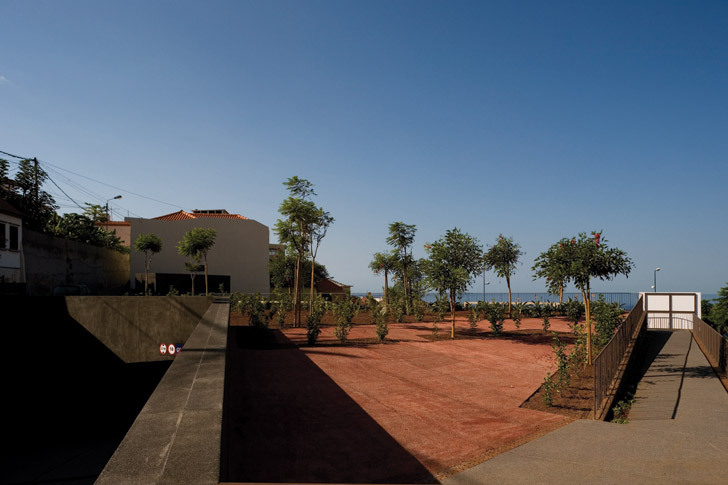 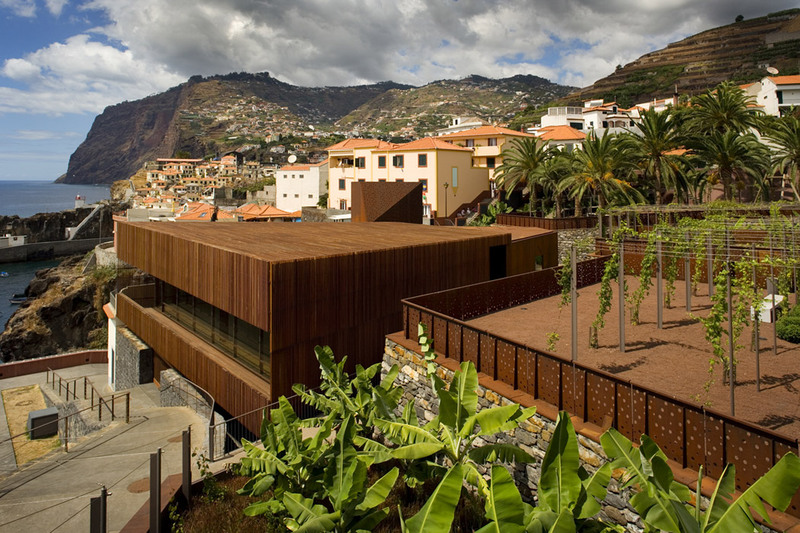 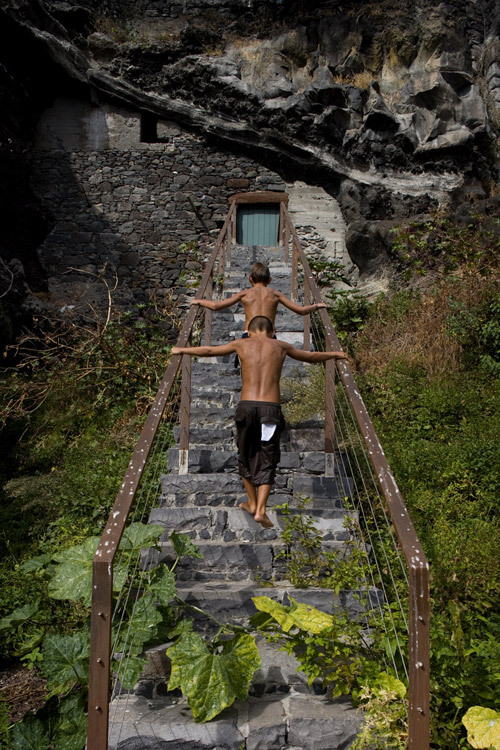 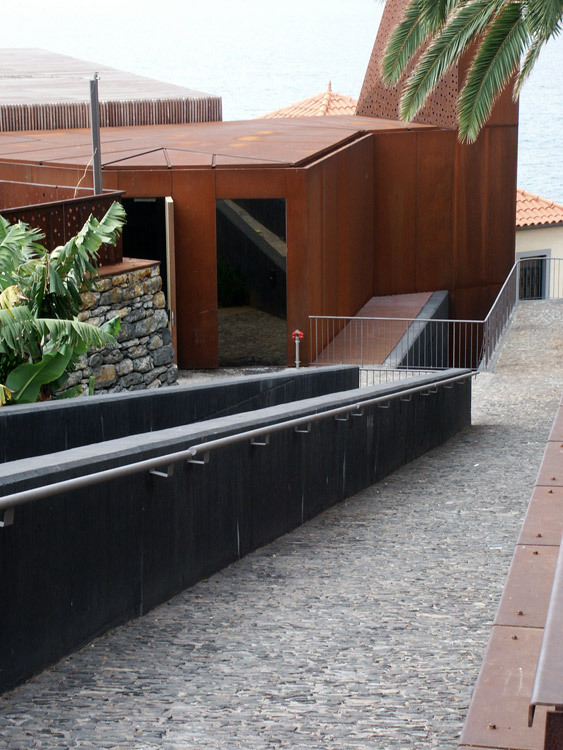 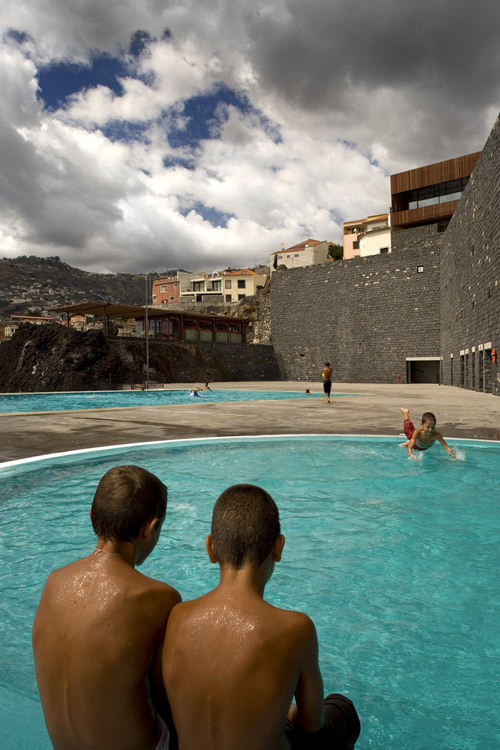 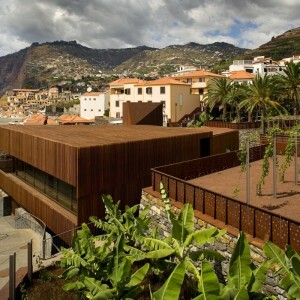 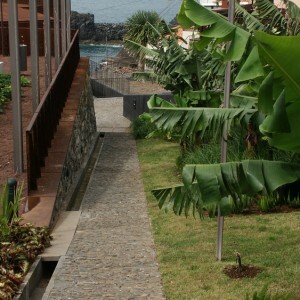 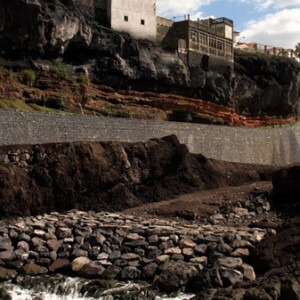 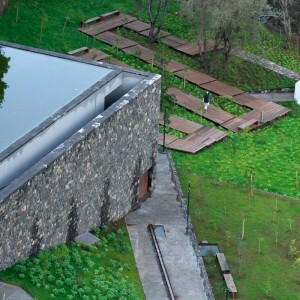 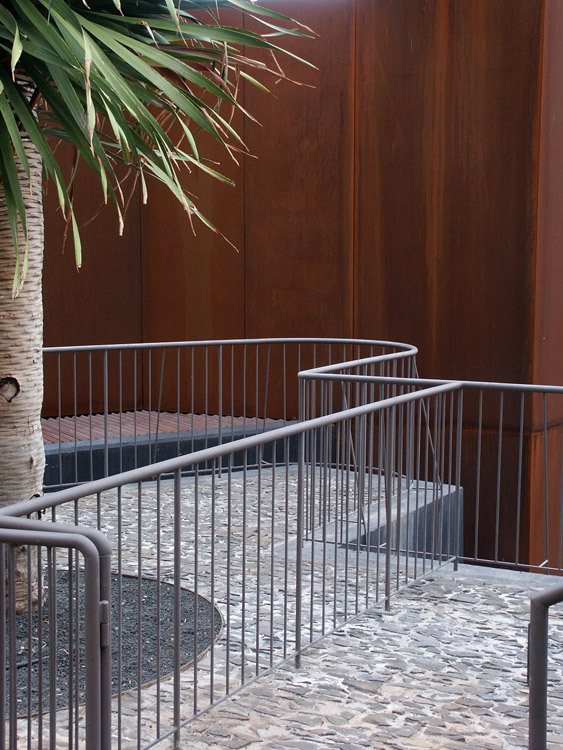 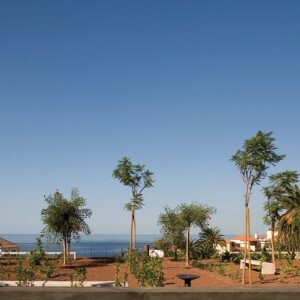 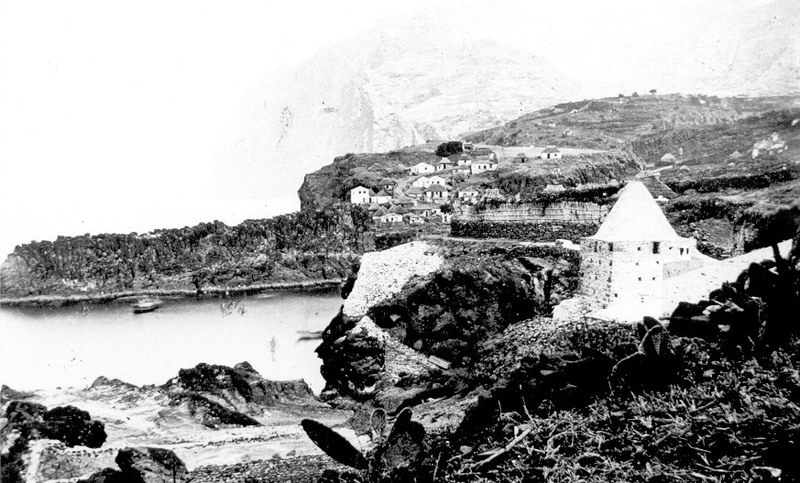 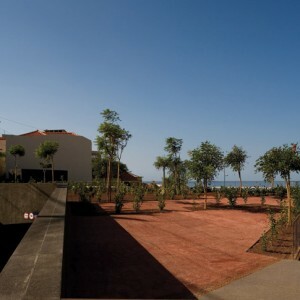 The site transformation incorporates elements that articulate traditional techniques and traditional production systems to construct the landscape and to adapt it to the site-specific geomorphic conditions of Madeira’s landscape. 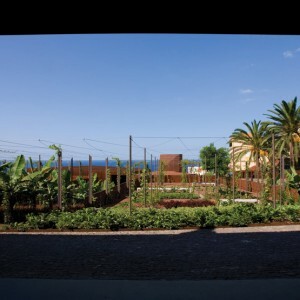 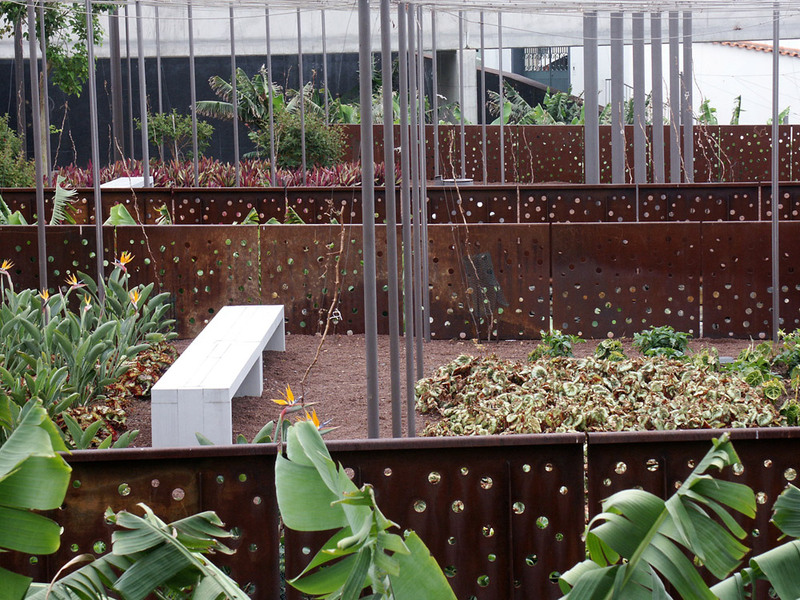 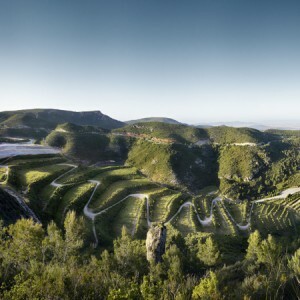 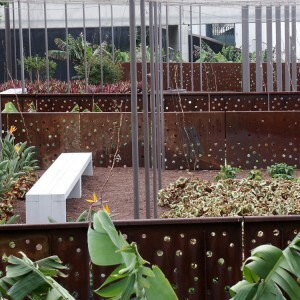 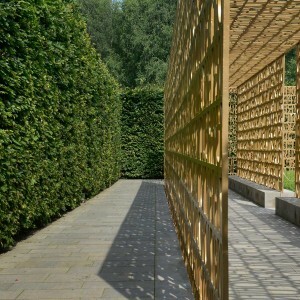 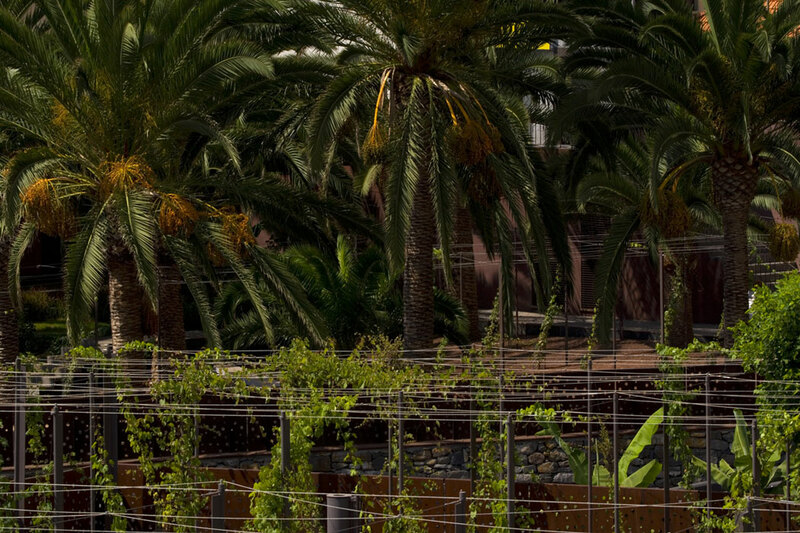 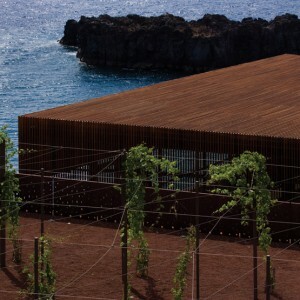 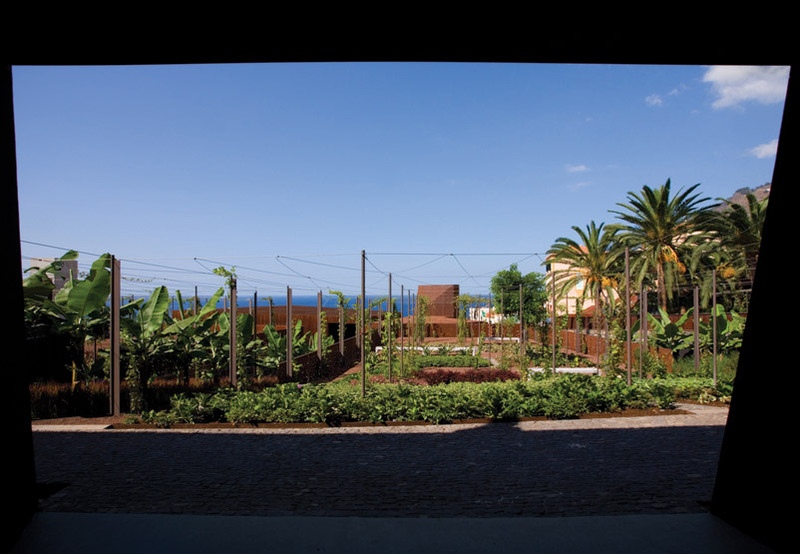 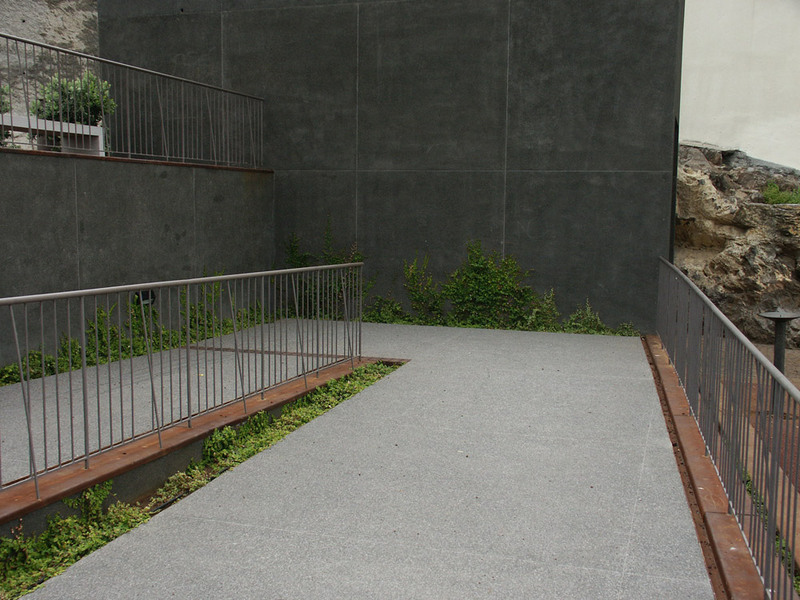 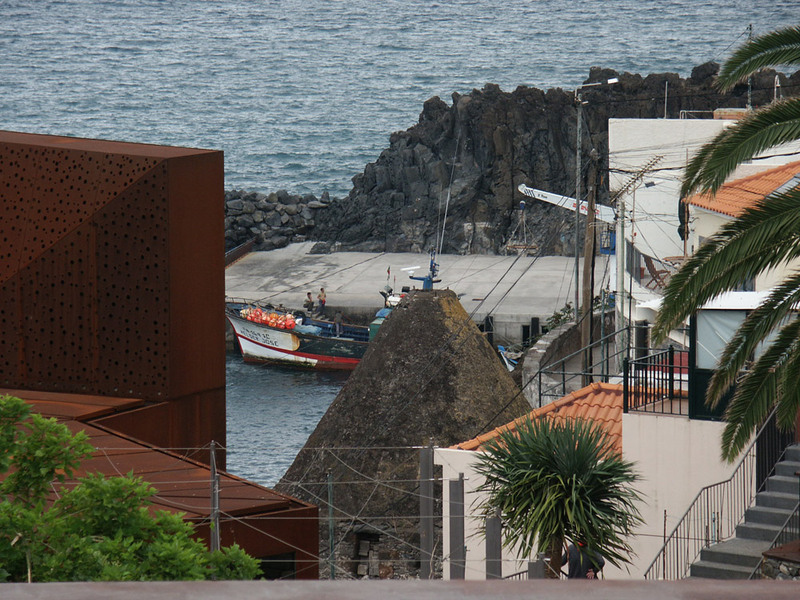 ‘Poios’, walls, up-leveled canals (‘levadas’), vineyard trellis, meadows, banana groves, through contemporary design thinking and drawing processes introduces and represents a new interpretation of the place and its occupation. 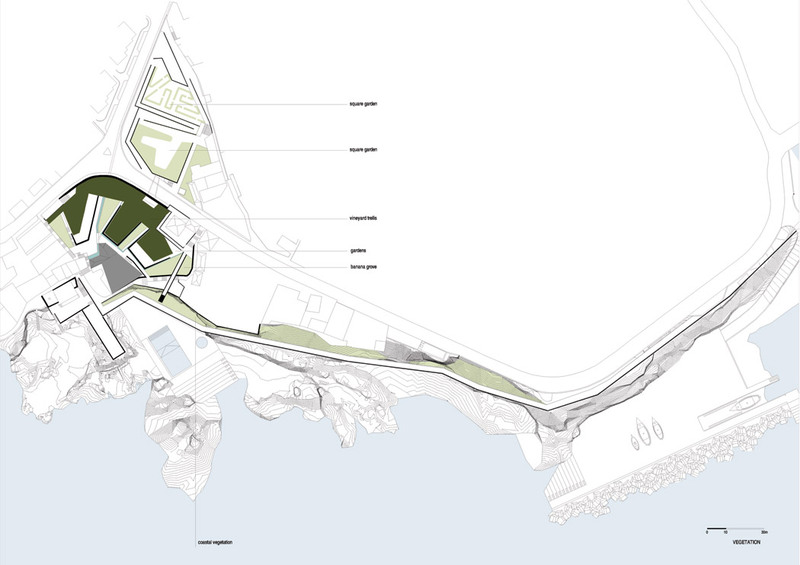 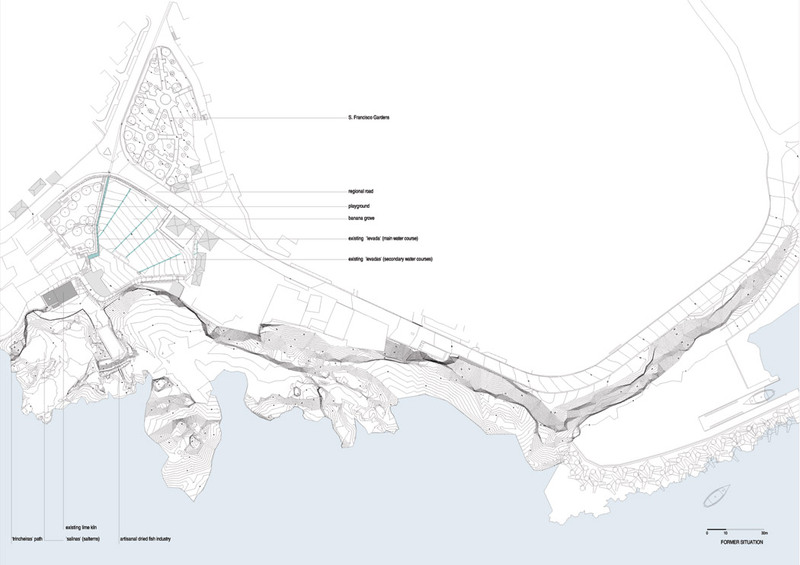 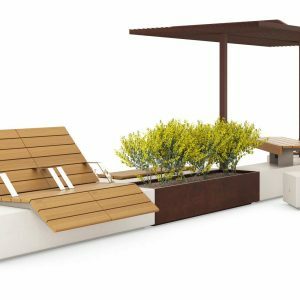 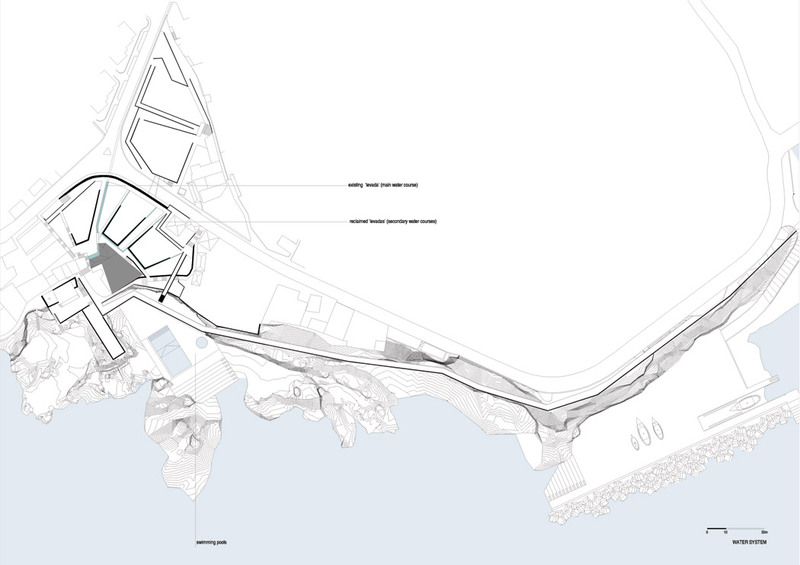 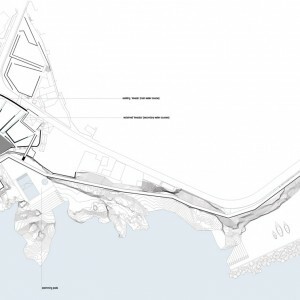 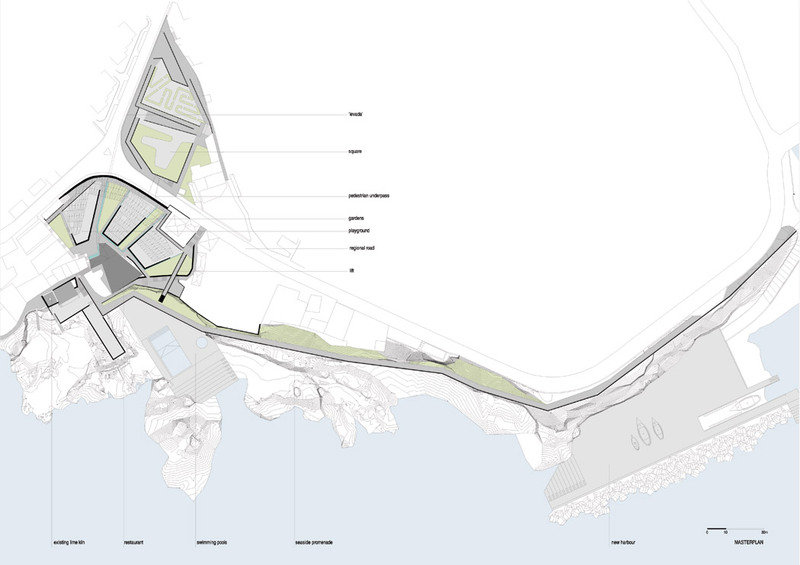 Two perpendicular movements (along the coastline and upwards to the sea level) define the project. 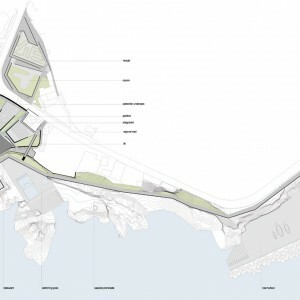 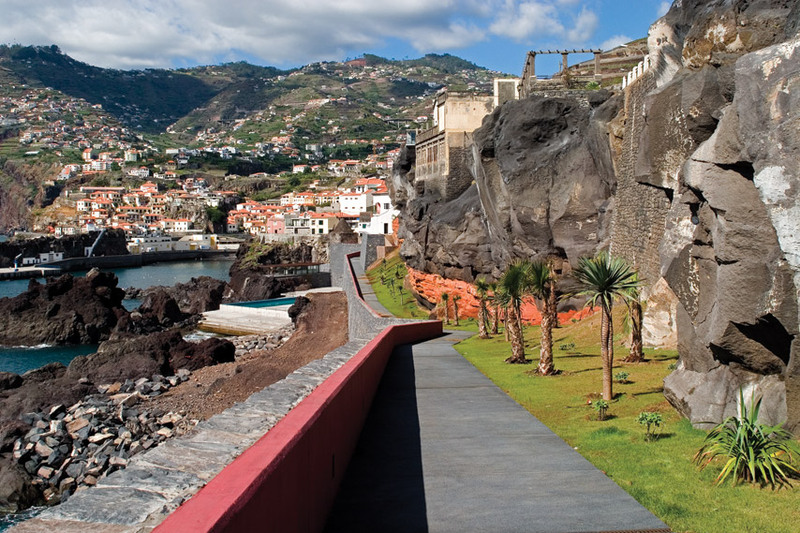 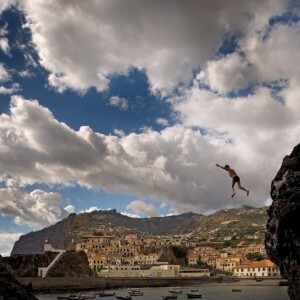 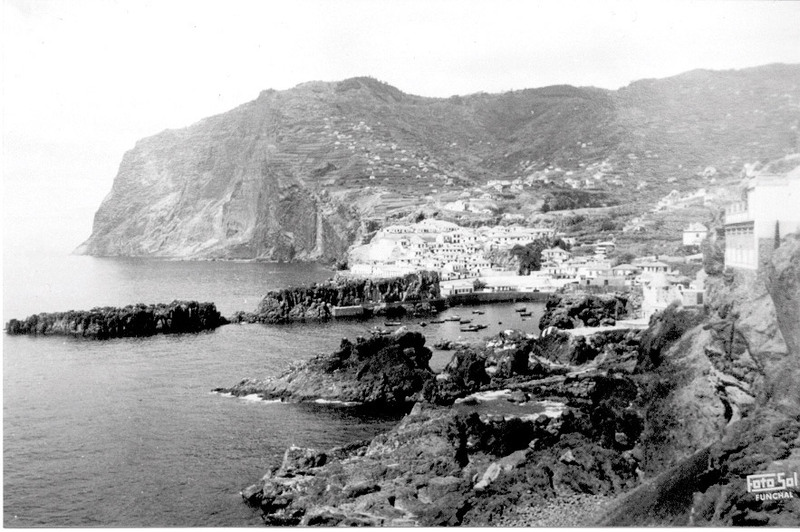 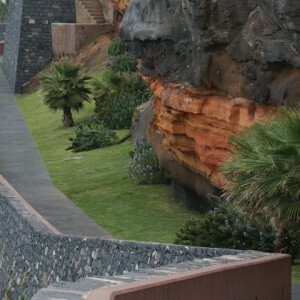 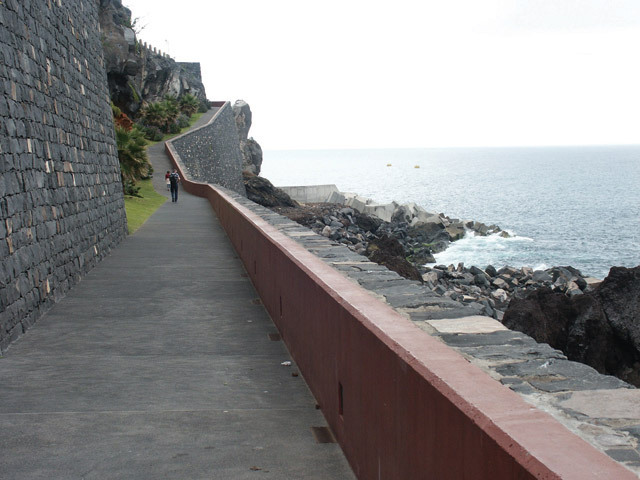 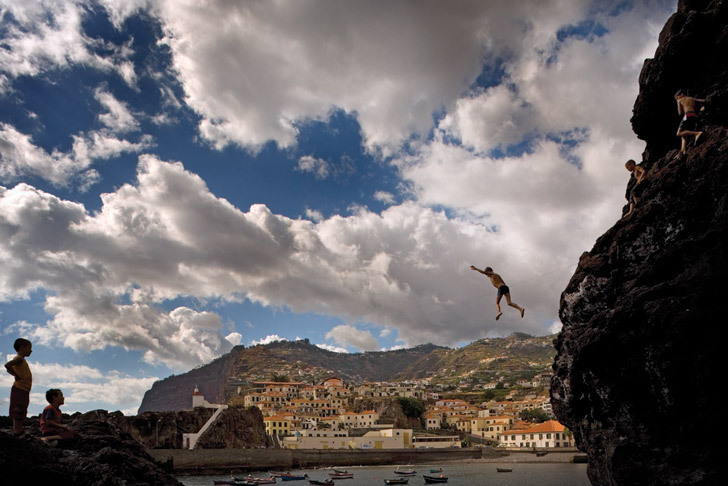 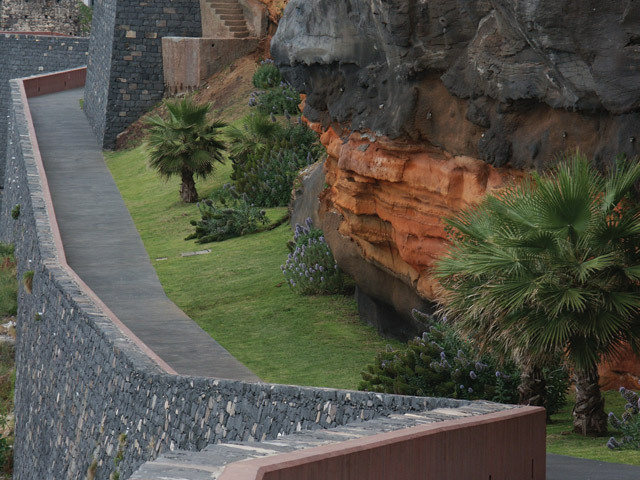 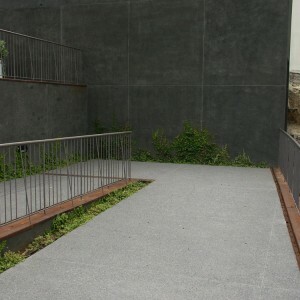 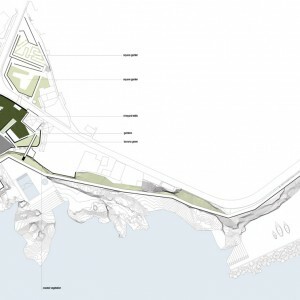 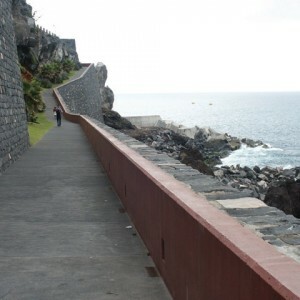 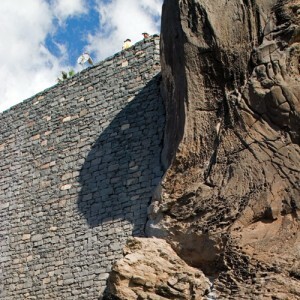 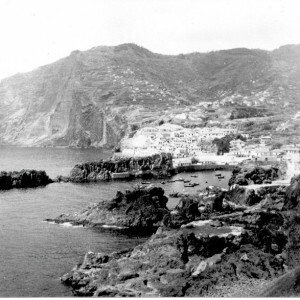 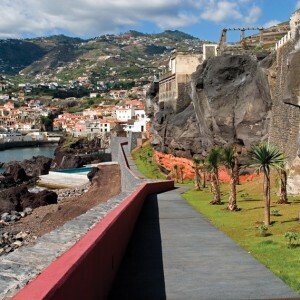 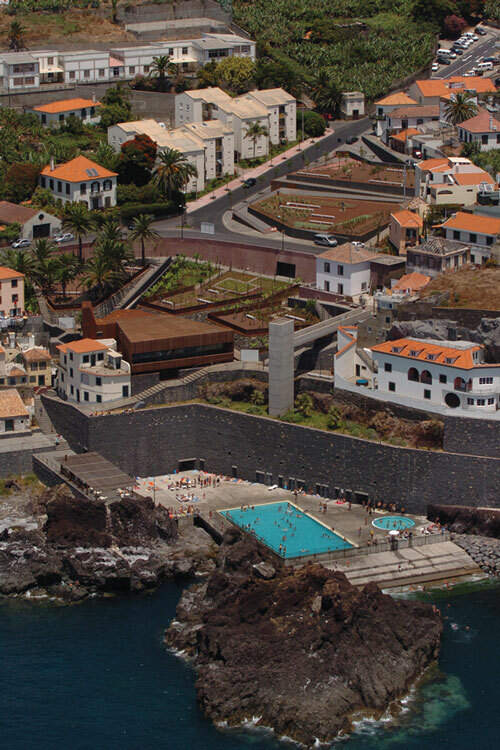 The extension of the old fishermen trail ‘caminho das Trincheiras’ allowed to retain the geological instability of the cliffs and created a urban connection between Câmara de Lobos village, Salinas place and the new harbor. 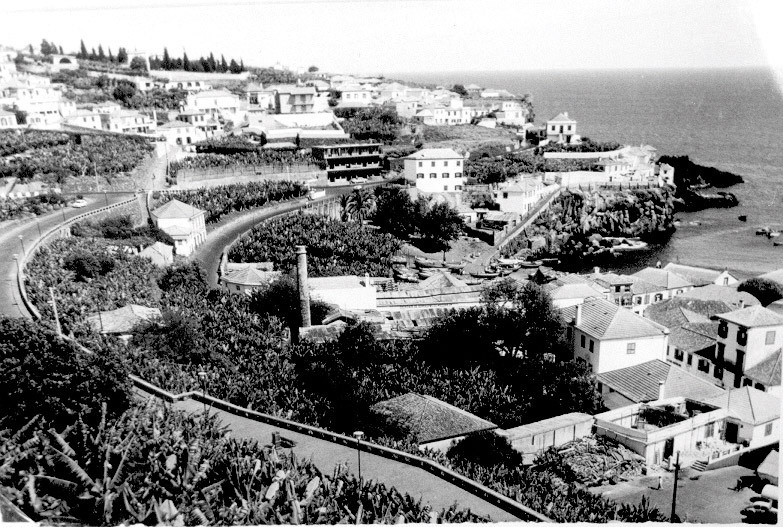 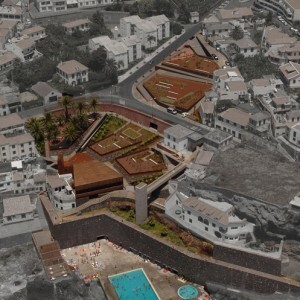 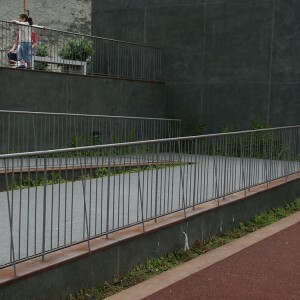 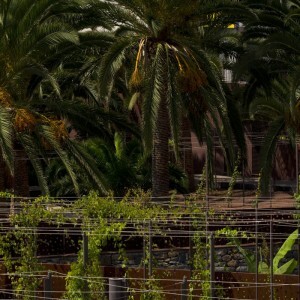 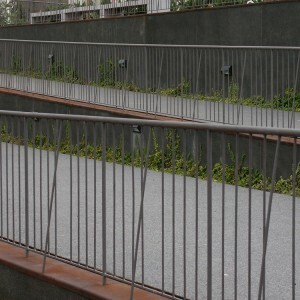 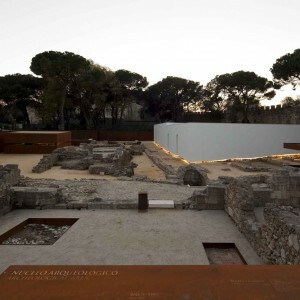 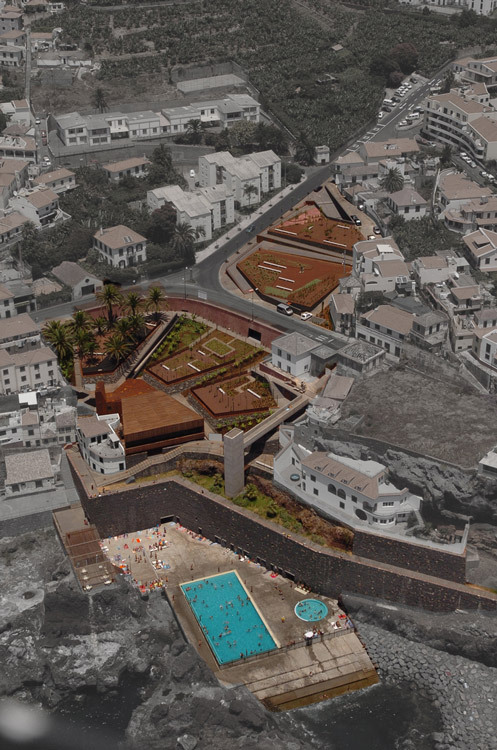 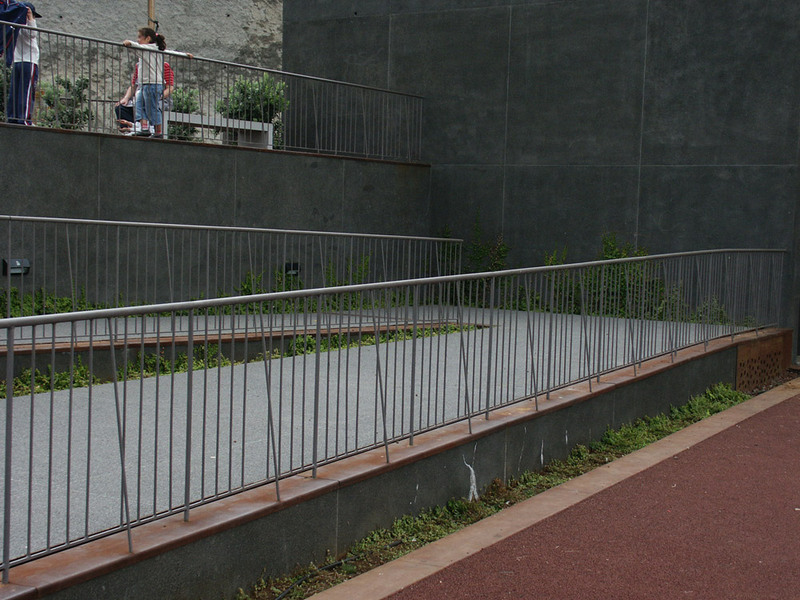 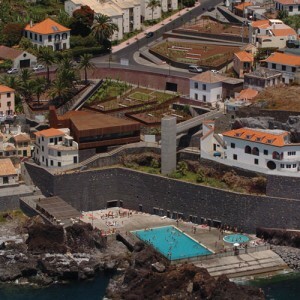 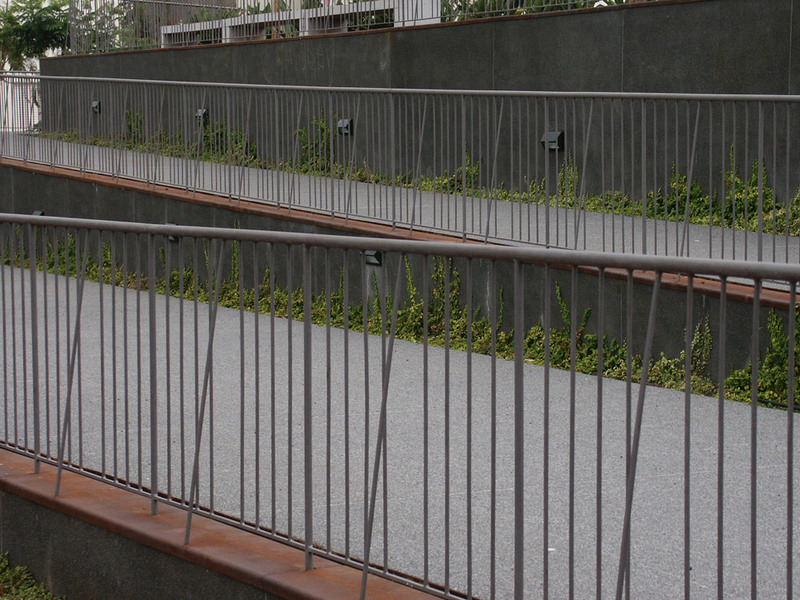 The opposite movement included the transformation of a public garden into a new garden over a parking lot; the secure pedestrian connection under the regional road; the transformation of banana grove into a public terraced garden serving the ensemble and the neighborhood social housing; the placement of a new restaurant and bar; and the connection to sea level balnearium and maritime swimming pools platform.